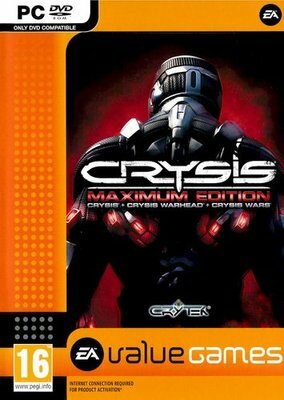 Crysis Maximum Edition contains both Crysis and the pulse-racing new installment Crysis Warhead. This epic story thrusts players into an ever-changing environment, forcing them to adapt their tactics and approach to conquer battlefields ranging from newly frozen jungle to zero-gravity alien environments. Full-featured multiplayer that includes Crysis Wars®, an expanded new multiplayer experience with new online modes and 21 maps including seven all-new maps to battle it out against other players.